STMicroelectronics has released a matched balun for its S2-LP 868-927 MHz low-power radio transceiver. 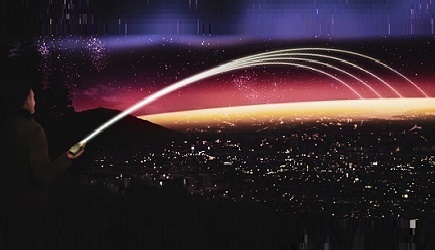 The new single chip balun will help engineers save board space and minimize RF-circuit design challenges in size and cost-conscious products like IoT sensors, smart meters, alarms, remotes, building automation, and industrial controls. 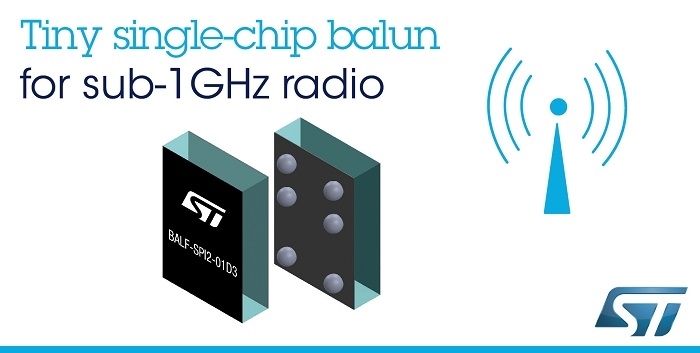 The BALF-SPI2-01D3 integrates all the impedance-matching and filtering components needed to connect an antenna to the S2-LP radio, replacing a conventional network of 16 discrete capacitors and inductors that can occupy up to 100mm2 of board real-estate - a footprint reduction of more than 96%. This balun measures 3.26 mm2 . In addition to saving space, circuit design is greatly simplified, with no need to select component values or tackle exacting layout challenges. Fully optimized for the S2-LP, the balun comes with placement and connection recommendations that are tested and verified and can be directly replicated to maximize RF performance. The BALF-SPI2-01D3 is the latest in ST’s family of integrated baluns. There are now 16 devices, in package sizes down to 0.8 mm2 and just 0.56 mm high after reflow, for use with ST’s sub-1 GHz or Bluetooth low energy 2.4 GHz radios, as well as with transceivers from other manufacturers. As a critical enabling technology for these highly integrated matching devices, ST’s Integrated Passive Device (IPD) on non-conductive glass-substrate ensures low RF signal losses, with low amplitude and phase imbalances, ultimately resulting in superior RF-subsystem performance and longer operating life for battery-powered devices. With the increasing importance of connected, smart objects to support consumer lifestyles and to enhance business efficiency and innovation of new services in commercial, energy, and industrial sectors, designers can gain a competitive edge in these fast-growing markets by using ST’s integrated baluns to trim product dimensions, maximize performance, and shorten development cycles. The BALF-SPI2-01D3 is in production now, in a 6-bump 2.1 mm x 1.55 mm chip-scale package, priced from $0.176 for orders of 500 units.